14th NTRCA viva date and Viva Marks Distribution updates Today ! Non-Govt viva result and Exam Process are available at bdeducationinfo.com . You can updates NTRCA Notice from my website. Now check below this NTRCA Result,viva updates news in Bangla. After waiting a long time ntrca published their Notice about 14th NTRCA Recent Viva Date & Time below this Notice. NTRCA Viva exam will be held on 24 june 2018 . 14th Teacher Registration Viva Exam Date has been published. 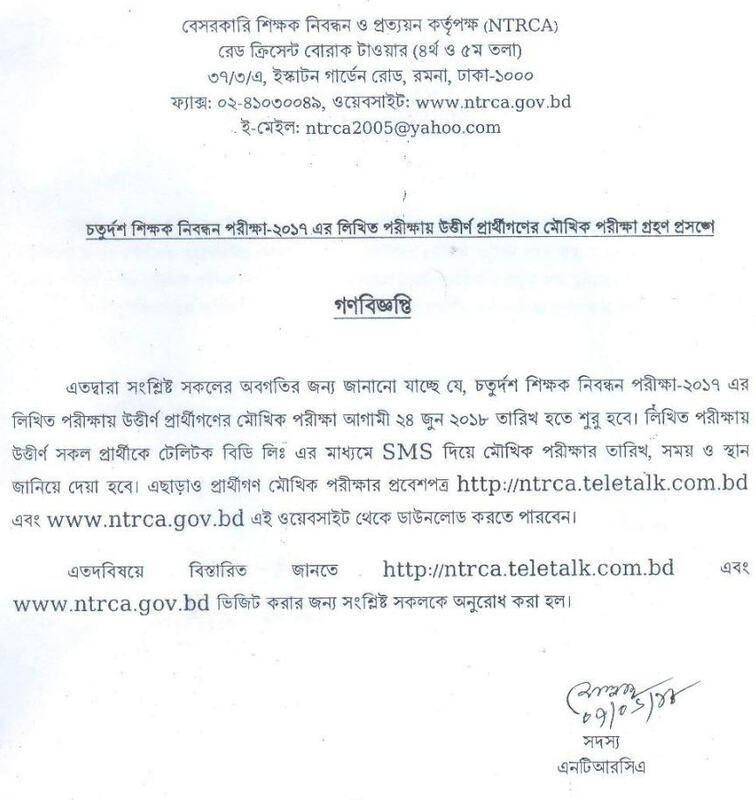 Candidate can gets more information about NTRCA Viva Date & Exam Seat plan here – ntrca.teletalk.com.bd . Now Lets check below this Original Notice about 14th NTRCA Viva exam 2018. Hope You successfully Check your 14th Viva date of NTRCA. You may know more updates Jobs circular and Admission Notice on my website. Click here for more updates News about NTRCA 2018. Keep visit our website for 14th written exam result updates . Thank you. This entry was posted in Notice, NTRCA BD and tagged ntrca by admin. Bookmark the permalink.